Nokia’s three smartphones with the AOSP based Nokia X platform – Nokia X, Nokia X+ and Nokia XL were announced at the MWC 2014. Since then, it was both appreciation as well as the criticism for the devices, especially for the Nokia X which made the entry into the market first, and almost everything in the smartphone was disliked by the community. The Nokia XL, with the larger screen and a better camera, at least is something which one would love using if they are a Nokia fan but didn’t want to use the Windows Phone Lumia series for some reason. Before we begin giving you some excellent tips to use the Nokia XL in the best way, here’s something you need to know about the device. The Nokia XL comes with a 5-inch capacitive touchscreen with the WVGA display, i.e. 480 x 800 pixels screen resolution. It has the Dual-core Qualcomm Snapdragon S4 processor, clocking at 1 GHz and there is a support by 768 MB RAM. The internal storage in the Nokia XL is 4GB and there is a MicroSD card slot for the storage expansion to 32GB. The screen size is bigger than what is in the Nokia X, and there is an upgrade in the camera too, with the Nokia XL having a 5-megapixel autofocus camera on the rear side, assisted by LED flash. It is the Nokia X platform, based on the Android Open Source Platform, and thus you won’t be seeing a stock Android flavor, a pretty disappointing fact if you are someone who used Android phones earlier, and wanted to switch to this because you wanted a Nokia device. Anyways if you bought one, follow the tips and tricks below. Press the finger of one hand on the back center area, and with the thumb of the other, pull out the corner from the top of the back cover. The cover would pop out easily, rather easier than one would expect. There are two SIM card slots in the Nokia XL, and both are for the Micro SIM cards, and that is the only size accepted in the device. To insert the SIM cards and the MicroSD card for storage expansion, and these slots are exposed only when the back cover of the phone is removed. There are three slots, in which the center one is for the storage card while the slots on the entire side of it are for the Micro SIM cards. If you are using a 3G SIM card, you need to insert that into the slot in the SIM 1 section as written over the slot. While inserting, you need to make sure that the cross cut on the SIM has to go in first, and also that there is a click sound with a jerk when you are pushing the SIM card into the slot. For the MicroSD card, you just need to push the card inside as given on the small representation over the slot. How to change the look of Nokia XL interface without root access? The interface of Nokia XL is similar to Windows Phone, the tile interface because of Nokia’s own Nokia X operating system based on Android, and we have seen a lot of questions from users who wanted to tweak the look of the interface without actually trying to root the phone and change the entire ROM, although this would have made things totally refreshing and different. To quickly change the looks, you can just go to Nokia Store app and check for the themes which are available for Android. There are a lot of them, and as the photo suggests, it takes no efforts to change the look to even the Apple’s iOS 7 interface. Just search for “launcher” in the Nokia store and you will find a handful number of launcher apps which change all the look, and would bring a refreshed feel in no time and with no efforts. Thanks to the phone being based on the Android OS, the installation of external apps using the installation file is possible. It is the same APK files which you can use, to install the apps. To install, you will first have to tweak the security settings so that the phone allows the installation of the apps from external sources. For that, you need to go to Settings > General > Security > Device administration > Unknown sources (Allow installation of apps from unknown sources) and then check it to enable. Once that is done, you could transfer the APK file of any app to your file system in the phone and install it like you do in any Android phone. How to multitask on Nokia XL and close recently used apps? Multitasking is something which is taken a full advantage of, in the Android phones. Though it isn’t the same way, you can still multitask in the Nokia XL, i.e. 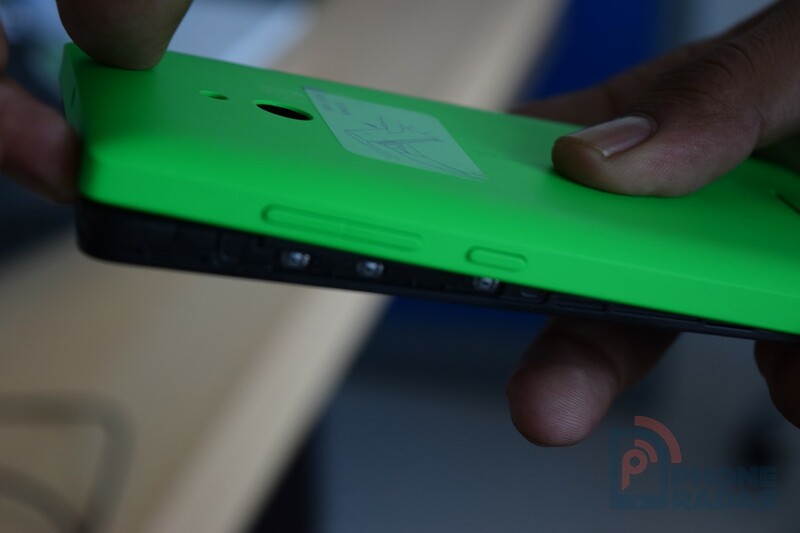 in the Nokia X platform. For that to happen, you will have to check out the option called as “Fastlane” which is the one giving you the access to the recently used applications, and switch between them. On the home screen, type on the Back button and you will see the screen swiping to the right, and it is the multitasking page called Fastlane showing you everything that is done on the phone recently. Closing recently used apps – For that to happen, if at all you are seeing the app in the Fastlane, you just need to long press on it so that the “X” button comes beside every recent app. You just need to tap on X to close it. How to change the tiles size and position on home screen? Just like in the Windows Phone 8 OS in the Nokia Lumia devices, you can change the way the tiles look on the home screen of Nokia XL. For that, you can tap and hold the icon of the particular app, so that it shows two options – where you can drag from the corner to make the size bigger or smaller. Also, if you wanted to change the position of the tile, you can hold the tile and then move it around.